The NeoStrata Resurface Pack consists of skin care products that work in conjunction with each other to provide your skin with the best exfoliating and skin renewal capabilities. 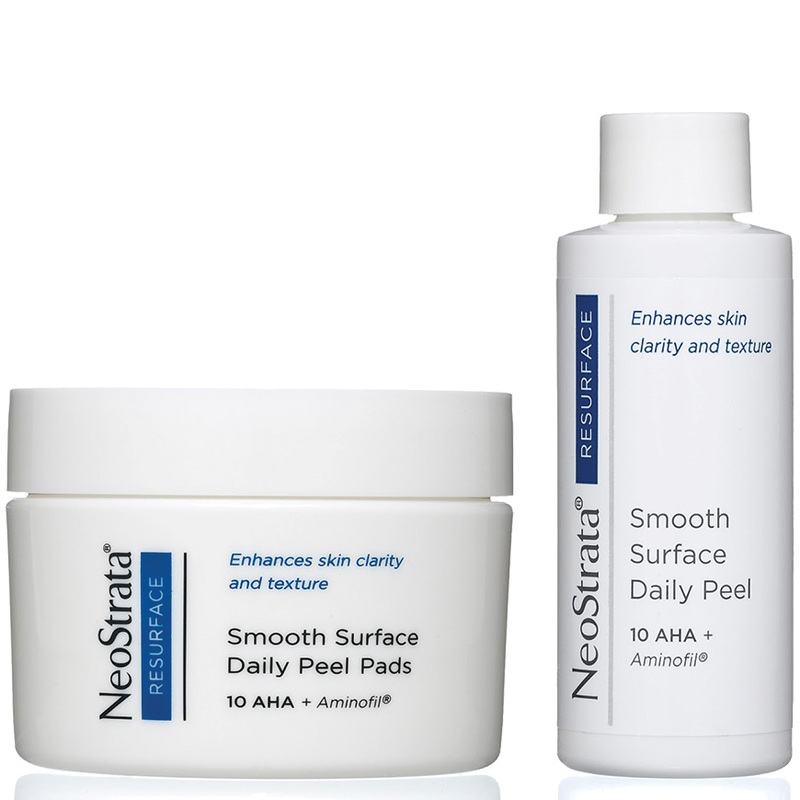 eoStrata Smooth Surface Daily Peel Pads. NeoStrata® Skin Resurfacing At Its Best. Easy to use at home chemical peel system. 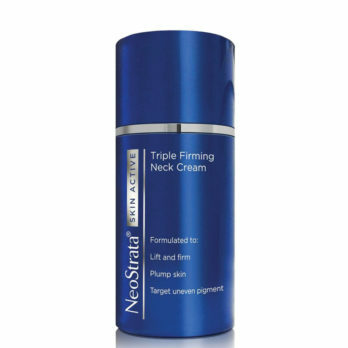 Build the Benefits of a Chemical Peel Into Your Daily Routine with NeoStrata’s One-Step Peel. 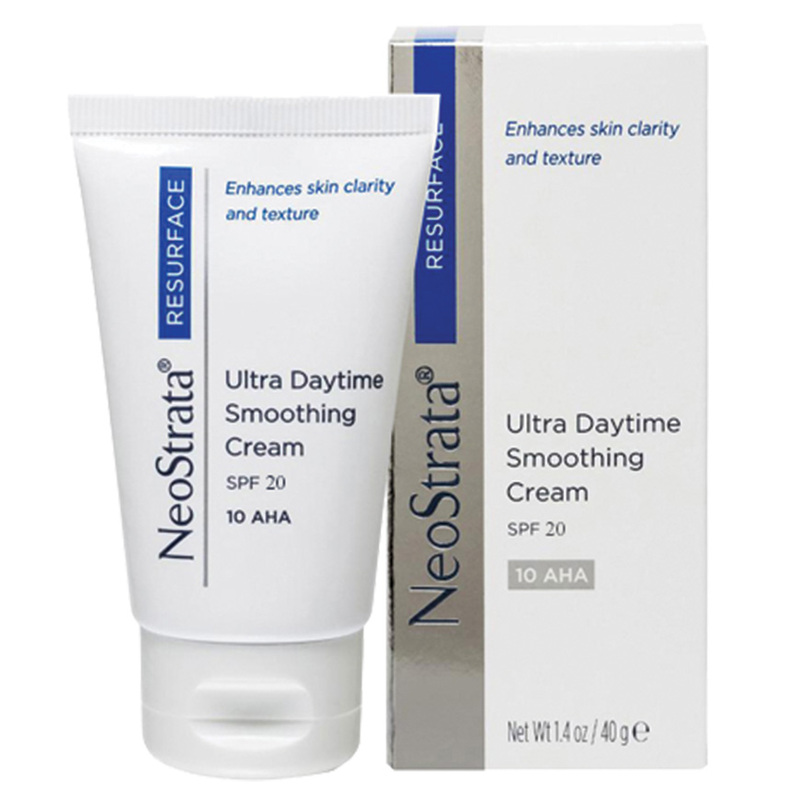 Correct the visual signs of photoageing and prevent future damage with a broad-spectrum UVA/UVB sunscreen in this antioxidant-rich day cream. 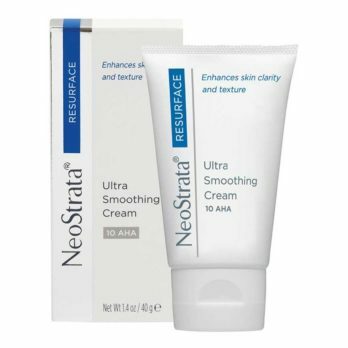 NeoStrata Ultra Smoothing Cream is a rich antioxidant, exfoliating cream that moisturises and restores for a visibly smoother appearance to the skin. 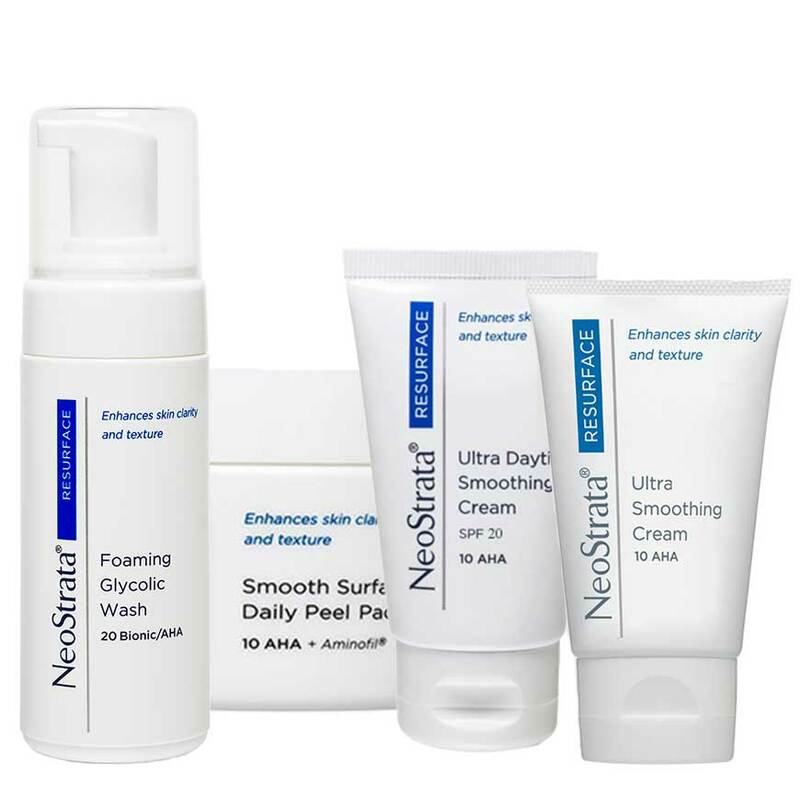 Enhance your skin’s clarity and texture for a new look. NeoStrata Foaming Glycolic Wash is a potent pH-balanced foaming cleanser for Glycolic acid users who prefer a deeper cleansing. 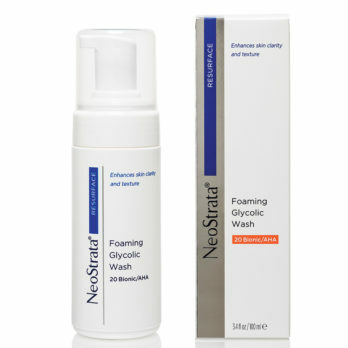 If you’re an experienced Glycolic acid user, this soap-free face wash is what you’ll be after. Pour the entire bottle of the solution onto the jar of pads. Wipe pad over cleansed face every evening, avoiding lips and eyes. Gently massage in any remaining fluid. Close jar tightly to ensure that the solution does not dry out. Apply liberally to face and neck daily, 15 minutes before sun exposure. Apply sparingly to the face and neck at night for the first two weeks, thereafter twice daily. 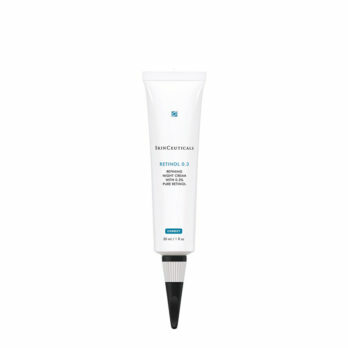 Can be used under make-up or sunblock. It is not recommended to use a scrub or mask before or while using this cream. Patented amino acid derivative helps increase collagen and hyaluronic acid to plump, firm and reduce the appearance of lines and wrinkles. 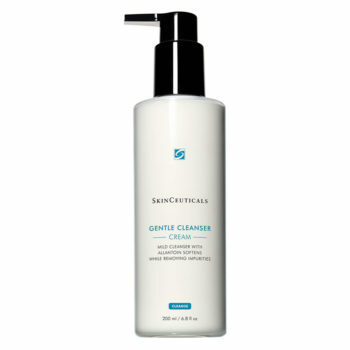 Increases cell turnover to clarify pores, refine skin texture and improve skin tone. Amphoteric amino acid used to help adjust formulation pH and increase product gentleness (reduce sensory irritation). Hydro-alcohol based solution vehicle quickly penetrates skin. Paraben free, fragrance free, oil free (contains 5% alcohol). 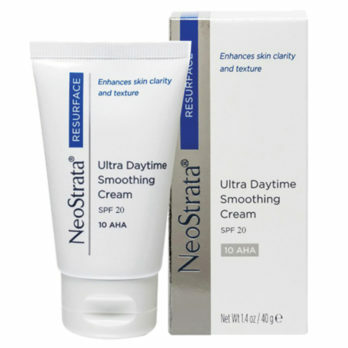 *Aminofil® is a NeoStrata patented technology. 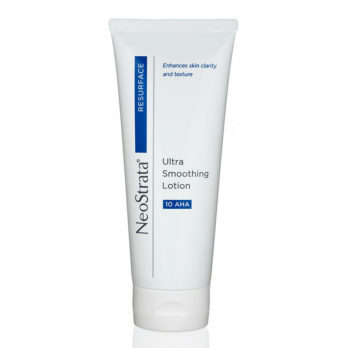 NeoStrata Ultra Smoothing Cream contains a concentration of AHAs that is ideal even for new users. 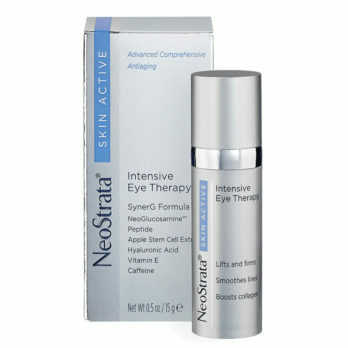 This product can significantly improve firmness, mottled pigmentation and overall clarity. Formulated with 8% Glycolic Acid and 2% Citric Acid, this product is oil-free, fragrance-free, dye-free and non-comedogenic, and is suitable for non-sensitive skin. Glycolic Acid, Citric Acid, Arginine-Amphoteric. Glycolic Acid, Citric Acid, and Arginine-Amphoteric.